The Sony Alpha a9 is the most impressive and expensive mirrorless camera from Sony yet, that can put all other cameras to shame because of its speed. Yes, that’s right. This 24.2 MP camera can shoot up to 241 RAW full-frame images at a blistering fast 20fps. The Sony a9 features the world’s first full-frame stacked Exmor RS CMOS sensor. 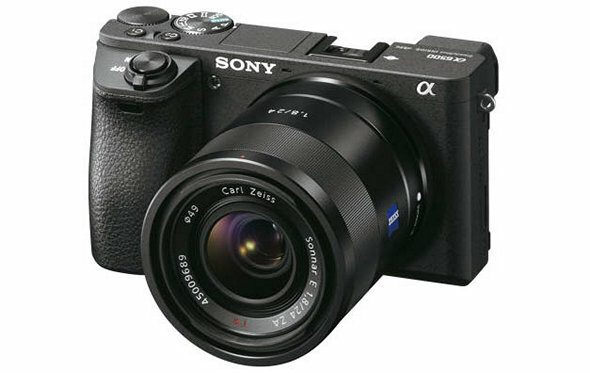 Similar to other mirrorless cameras from Sony, this one offers 5-axis image stabilization as well. As far as video is concered, it can shoot 4K footage, which is actually downsampled from a 6K sensor readout. This essentially results in a high quality 4K footage with exceptional detail and depth, as claimed by Sony. The battery life has also improved a lot, as Sony promises double the battery life compared to previous A7 models. 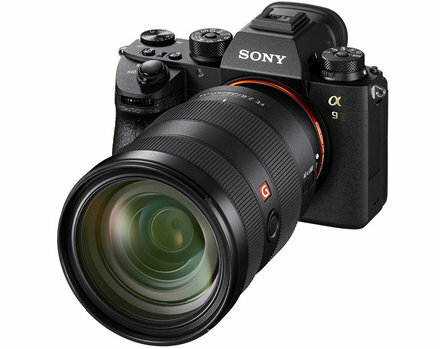 The Alpha a9 will be the best mirrorless shooter for professionals once it hits the shelves, starting May 25th for an asking price of $4499. 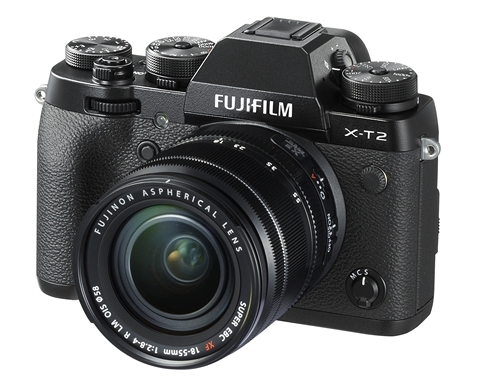 The Fujifilm X-T2 mirrorless camera was announced back in July and replaced the much-loved X-T1. It features an APS-C sensor, so full-frame enthusiasts, this one’s not for you. Although you won’t nearly get the surface area of a full-frame sensor, it packs some serious features for professionals regardless. It features the same 24.3 MP CMOS sensor that we first saw and loved in the X-Pro2. The X-T2’s electronic viewfinder featuring a 2.36 million-dot OLED display is quite similar to the one on the X-T1, except for the fact that it’s much brighter and offers 60 fps baseline frame rate. The Fujifilm X-T2 can shoot 4K videos up to 30 fps, and also offers a maximum recording time of 10 minutes. The battery that this camera packs will let you take 340 shots. Fujifilm also offers an optional VPB-XT2 battery grip that can accommodate 2 batteries in addition to the one in the camera. The battery grip alone will be good enough to let you take up to 1000 shots if you’re willing to sacrifice the compact size. The maximum recording time will also be increased to 30 minutes once the battery grip has been attached. Along with the Sony a6500, this is one of the best APS-C mirrorless cameras you can buy this year. Pricing is quite similar to other high-end APS-C mirrorless cameras at $1599. 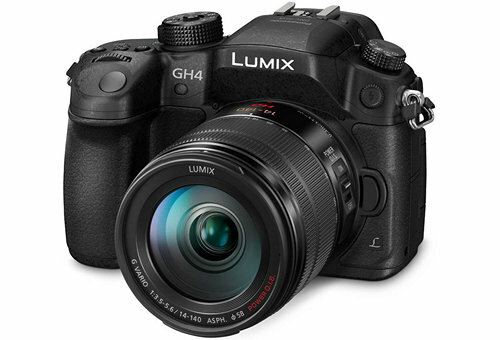 The GH4 was made available in April 2014 and although it’s ageing at the moment, the multiple price cuts that this camera received makes it a great deal, even after 3 years since release. It packs a best-in-class 16.05 MP Micro Four Thirds sensor that can take impressive stills, best suited to intermediate photographers. The camera offers continuous shooting at 12 fps and 7 fps with focus tracking. The GH4 can also shoot video in either DCI Cinema 4K (4096 x 2160) up to 24 fps or Ultra HD 4K (3840 x 2160) up to 30 fps. If you’re shooting 4K video, the battery should last you for just about 2 hours. The battery life is rated at 500-530 stills, which is well above average for a compact camera, but still below a prosumer DSLR. So, make sure you purchase additional batteries as well. Although the launch price of GH4 was roughly $1700, after multiple price cuts, it’s currently available for under 1200 bucks on Amazon. This is the best mirrorless camera that you can currently buy for photography and videography. Well, that’s until the Sony Alpha a9 hits the shelves. In spite of being almost two years old, the a7R II is still widely recommended by enthusiasts, just for the sheer performance it packs. The Sony a7R II boasts a whopping 42 MP full-frame Exmor R CMOS sensor that lets you take astounding images at the highest details. It also offers 5-axis image stabilization and continuous shooting up to 5 fps, which is fine considering the camera launched a couple years ago. The a7R II can record 4K Ultra HD footage at 30 fps. The battery on this camera should last you for about 340 shots if you’re using the LCD screen or 290 shots if you’re using the Electronic Viewfinder. All in all, this is a pretty well-built camera that manages to tick all boxes for the professionals who’re looking to buy a top-tier camera this year. If you want the a7R II right away, you will have to shell out approximately $2900 bucks and the price has pretty much been justified. The NX3000 is an entry-level compact mirrorless camera which is both thin and light weight, aimed at beginners. It was released back in June 2014, but it still manages to be in this list for the features it offers at a low budget price point. 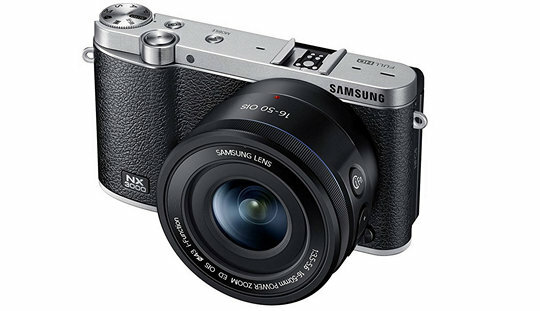 The NX3000 features a 20.3 MP APS-C CMOS sensor like other NX series cameras offered by Samsung. Make no mistake, this APS-C sensor is still physically larger than all the micro four thirds out there. 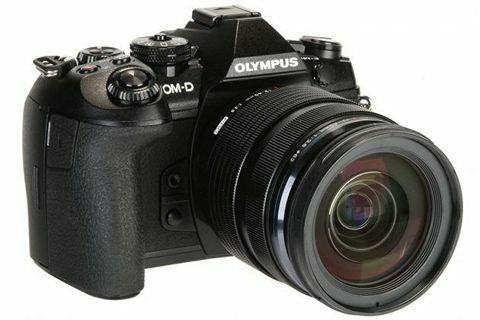 It comes with a 16-50mm Power Zoom lens which offers Optical Image Stabilization. Unfortunately, the NX3000 cannot record 4K footage, which is a downside that might bother you. However it can still shoot impressive Full HD 1080p footage using H.264 format at 30 fps. There’s a dedicated one-touch record button on the rear of the camera. The battery on the NX3000 should last 370 shots according to Samsung. It can be currently purchased along with the lens for under 700 bucks on Amazon. If you compare the Lunix G7 camera with the Samsung NX3000, it literally blows the Samsung camera out of the water in terms of what it offers at a lower price. Aimed at beginners on a budget, this mirrorless camera from Panasonic features a 16 MP Micro Four Thirds sensor, which is a step down from APS-C sensor on the NX3000. It also provides continuous shooting at 7fps to capture moments filled with action. The electronic viewfinder on the G7 is something that’s missing on the Samsung counterpart. The Lumix G7 boasts Ultra HD 4K recording at 30 fps, which the NX3000 completely lacks, even at a higher price. So, if you’re interested in shooting videos with your camera, the choice is pretty obvious here. The battery life on the Lumix G7 is rated at 350 shots, which although lower, is still quite similar to the NX3000 it competes against. 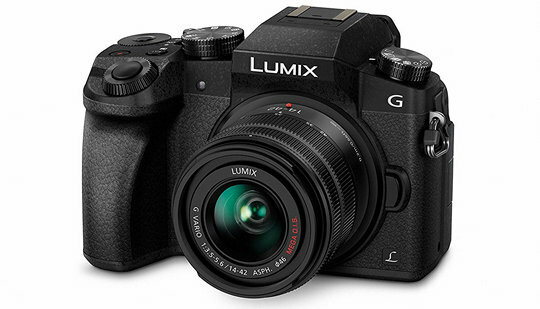 The pricing is what makes the Lumix G7 an obvious choice for beginners and people who’re on a budget, as you can pick this one up for under $600. Arguably, the best APS-C Mirrorless Camera you can buy right now, aimed at professional photographers and videographers alike. The a6500 is a step up from the a6300 and it’s packed with features. Packing a 24 MP CMOS sensor with 425 phase detection points and 5-axis image stabilization, the a6500 shoots nothing short of stellar pictures. One of the primary areas where this camera excels in, is low-light performance. The Sony Alpha a6500 can also shoot high resolution 4K footage at 30 fps and the process works quite similar to the Sony a9 by downsampling from a 6K sensor readout, which makes it look much sharper than regular 4K videos. You will be able to shoot continuous 4K video up to 20 minutes which is considerably more than the 10 minutes offered by its competitor, the Fujifilm X-T2. As far as stills are concerned, the battery should last you for about 350 shots. The Olympus Mark II is a mid-range mirrorless camera from Olympus targeting photographers at the intermediate level. 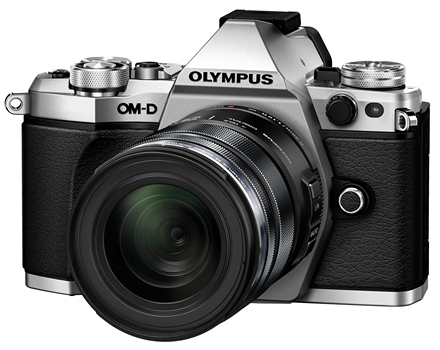 It’s the successor to the much loved OM-D E-M5 which launched in 2012. It packs a 16 MP Micro Four Thirds sensor with 5-axis optical image stabilization which is good enough to satisfy even the prosumers. It boasts of continuous shooting up to 10 fps (5 fps with focus tracking), so that you don’t miss any action. For an asking price of almost 1000 bucks, you might expect 4K video recording, but this camera misses out that feature. It can still record 1080p footage at 60 fps which is good enough for many, but if you want that extra resolution, you might want to look elsewhere. The battery life is rated at 310 shots, according to CIPA (Camera & Imaging Products Association) standards, which is a bit lower than its predecessor. Although this is an impressive camera, for an few hundred dollars more, you have much better options to choose from. 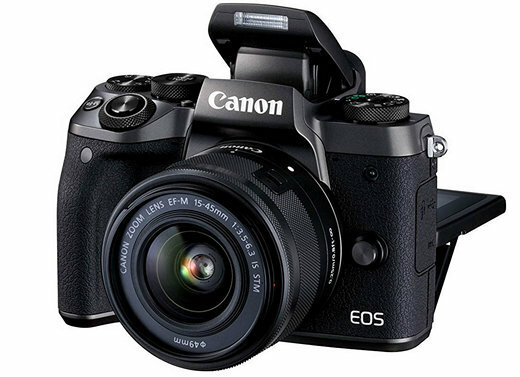 A mirrorless camera from the widely loved DSLR manufacturer Canon is what everyone looked forward to. The M series was thereby born 4 years ago and the EOS M5 was launched to replace the M3 last year. There’s no doubt regarding the fact that the M5 is Canon’s best mirrorless camera yet. It packs a 24.2 MP APS-C CMOS sensor featuring Dual Pixel CMOS Autofocus. The APS-C sensor alone is good enough to edge out some of the competition with Micro Four Thirds sensor providing larger surface area. The camera also boasts continuous shooting up to 9 fps, which is quite impressive for a mid-range camera. Canon targets the photographers at the beginner and intermediate level with the EOS M5. Living up to that tag, it lacks 4K video recording. However, it can still shoot 1080p footage at 60 fps. The battery life of the EOS M5 is rated at 295 shots which is quite low even for a mirrorless camera. For an asking price of $1099, there are better options to choose from, but if Canon decides to drop the price, this camera can be a pretty good deal. Still, if you’re a fan of the Canon brand and you have the cash, we won’t stop you from purchasing it. Coming from the German manufacturer Leica Camera AG, the Leica M10 is known for its great build quality and longetivity. Yes, Leica cameras have been widely known to last a lifetime, so you probably get what you’re paying for. The camera follows a retro look similar to most other cameras from this company. Nevertheless, build quality alone doesn’t make a great camera. 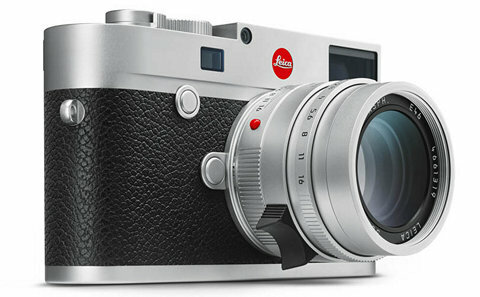 It packs a 24 MP full-frame CMOS sensor, which Leica claims to have been newly developed for the M10. It also offers continuous shooting of up to 5 fps, which is kind of disappointing for a camera at this price point. The Leica M10 totally lacks video recording, let alone 4K recording which you might totally expect from any camera available in 2017. But instead, Leica claims to completely focus on still photography and yes, it does take some exceptional photos. The battery life is pretty disappointing as well as it’s rated by CIPA at 210 shots. Of course, the Leica M10 isn’t for everyone, as it’s aimed at professional still photographers only. Thanks to its exorbitant price tag of over $6500. However, if you want a camera that’s going to last you for a lifetime and enjoy the craftsmanship, that’s something only Leica can offer. The E-M1 Mark II sits at the top of Olympus’ OM-D range of mirrorless cameras and it rightly deserves the spot. This camera is known for its speed. The dual quad-core processors that powers this camera makes way for blazing fast 60 fps burst shooting in AF-S mode and up to 18 fps in continuous AF mode. E-M1 Mark II is neither a full-frame nor an APS-C mirrorless camera. Instead, it packs a 20 MP Micro Four Thirds sensor featuring in-body image stabilization up to 5.5 stops. The E-M1 Mark II can record video in either DCI Cinema 4K at 24 fps or Ultra HD 4K at 30 fps, which is enough to please the videographers. The battery life is quite impressive for a mirrorless camera at 440 shots, according to CIPA standard. The E-M1 Mark II packs some amazing features, especially considering the fact that it has a Micro Four Thirds sensor. 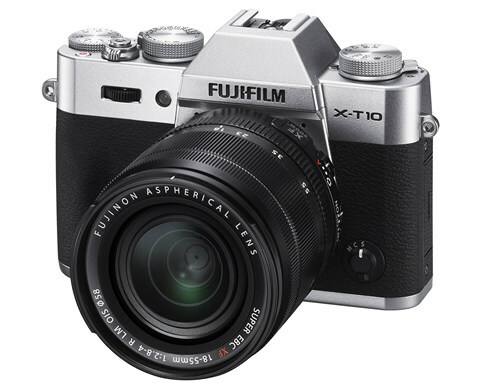 Meet the younger sibling to the hugely popular X-T1, the Fujifilm X-T10 which is a slightly stripped down and more affordable mirrorless camera which is suited for beginners or even intermediate photographers. The X-T10 features a 16 MP APS-C X-Trans CMOS II sensor which is plenty to take some beautiful stills. 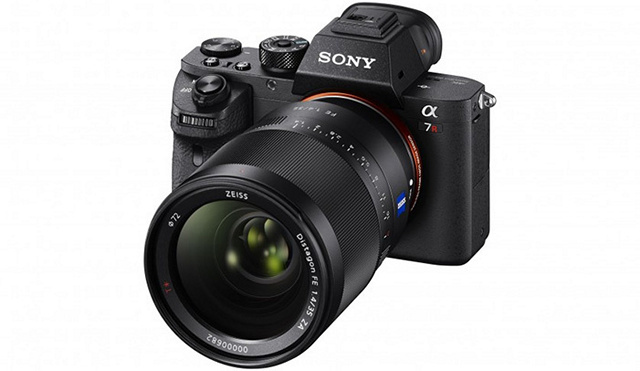 It has a high resolution 2.36 million dot OLED electronic viewfinder, similar to the X-T1. However, unlike the X-T1, you’ll be missing out on some features like the lack of weather-sealing and flash sync port. The Fujifilm X-T10 lacks 4K recording capabilities. However, if you still want to record videos on this one, you’ll be able to shoot 1080p footage at 60 fps, which should be good enough to satisfy the beginners. Battery life is rated at 350 shots which is decent for a mirrorless camera in this price change. It’s currently available on Amazon for under 900 bucks, which includes an 18-55mm kit lens. Nikon and Canon may rule the DSLR market, but when it comes to mirrorless cameras, it’s totally the opposite. As you can see from the above list, there are barely any mirrorless cameras from either of these brands, with Sony owning the majority of the market share at the moment. None of the cameras that we discussed above are mediocre by any means. Each of them has its fair share of strengths and weaknesses. So, are you looking forward to upgrade from a DSLR and make the transition to a new mirrorless camera? Let us know your thoughts regarding these cameras in the comments section below.